My first dreadnought guitar was a Maton. Long before I discovered bluegrass music, like many folk, I played folk music. My Maton FG 100 was my only steel string guitar and served me well for several years. I discovered bluegrass music in the late seventies and by 1983 and felt the need to trade in my trusty Maton for a Martin D28. 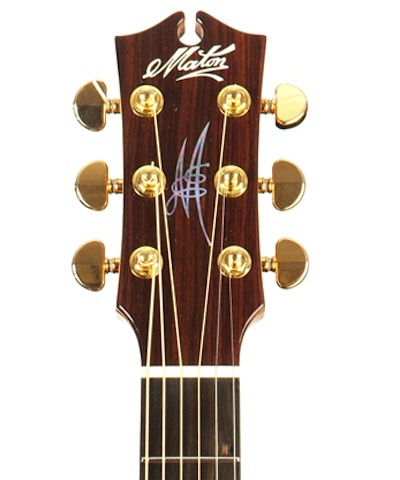 Other than that first steel string, I had never know too much about the Maton brand other than it was clearly developing into a successful Australian instrument. Alan Kohler (The Koler Report, Business Spectator) writes on his blog this morning, a little about the Australian instrument icon, titled The Sound of Business. In the late 1980s, Bill May was over 70 and the former woodwork teacher had been making guitars (May tone = Maton) for more than 40 years. But he had Parkinson’s disease and his shaking hands meant he could no longer operate the machines and make guitars, and his wife Vera was at him to retire. But when his daughter Linda Kitchen and her husband Neville bought the business from him in 1989, he was distraught, heart-broken.